In conjunction with the release of the new paperback edition of his groundbreaking book, "The New Digital Age: Transforming Nations, Businesses and Our Lives" – co-authored with Google Executive Chairman Eric Schmidt – Jared Cohen is scheduling exclusive speaking engagements through American Program Bureau to teach corporations how to adapt successfully to shifting online demographics. Using the book as a springboard for his presentations, Cohen teaches organizations how to cope with this expanding interconnectivity and offers solutions for the pitfalls that will emerge, including privacy, security and geopolitical concerns. In their bestselling book, Cohen and Schmidt look at the challenges, opportunities and dangers that will arise as five billion new global consumers come online over the next decade. Packed with insights and predictions, The New Digital Age analyzes evolving trends in internet usage and how peoples’ engagement in the virtual world will influence how companies and governments need to react to this new influx of connected citizens. Using the book as a springboard for his presentations, Cohen teaches organizations how to capitalize and cope with this expanding interconnectivity and proposes solutions for the many pitfalls that will emerge, including privacy, security and geopolitical concerns. No stranger to the world stage, Cohen, Schmidt and their book have been featured recently on an array of popular media, including appearances on Charlie Rose, CBS, CNN, MSNBC, FoxNews, NPR, and Bloomberg. Named to TIME Magazine’s “100 Most Influential People in the World” and Foreign Policy’s “Top 100 Global Thinkers,” Cohen customizes his presentations to address the unique impact that the internet will have on each specific audience. In this manner, Cohen helps organizations mold a new way of understanding and thinking about the ongoing technical revolution, gaining the insight needed to harness the opportunities presented both now and in the future. Organizations wishing to book Jared Cohen should contact American Program Bureau at 1-617-614-1600 for information on available dates and program topics. For more information on American Program Bureau, please visit http://www.apbspeakers.com. 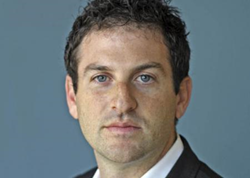 For a profile on Jared Cohen, please visit http://www.apbspeakers.com/speaker/jared-cohen. Founded in 1965, American Program Bureau’s (APB) mission is to provide a forum for the world’s foremost thought leaders to educate, empower and inspire. The global leader in the professional speaking industry, APB represents hundreds of speakers and serves thousands of clients worldwide. Today, the APB family includes the pinnacle of thought leaders across the realms of business, technology, healthcare, government and entertainment, including Mikhail Gorbachev, Robert Safian, Richard Branson, Chris Hughes, Michael Douglas and many others.